Score from 122 reviews: Fabulous 8.6 1 person is looking at this bed and breakfast. Housed in a 16th-century building in the heart of Venice, Bed and Breakfast Alla Vigna offers air-conditioned rooms with a traditional Venetian décor. Score from 587 reviews: Very good 8.3 1 person is looking at this bed and breakfast. 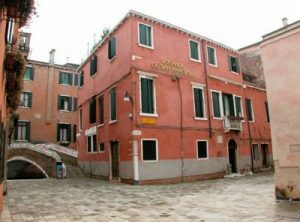 The Locanda is near Venice’s S.Marcuola Church, right by the vaporetto stop. All rooms are air-conditioned and feature a private bathroom, some offer typical views. Score from 251 reviews: Superb 9 1 person is looking at this bed and breakfast. 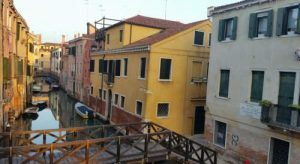 Just 100 metres from Cà D’oro Museum and Vaporetto water bus stop in Venice, also Locanda Cà Le Vele offers rooms with a flat-screen satellite TV, Venetian-style furnishings, and free Wi-Fi throughout. 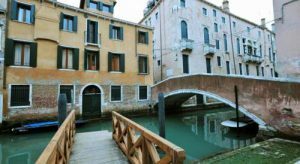 Bed and Breakfast Accommodation in Veneto and enjoy in one of the most prosperous regions of Italy. This region located in the northeast of Italy; close to the Dolomites are guaranteed to give you an adventurous vacation experience in the mountains. Go for a walk in the mountains or go do some mountain biking. Enjoy the mountainous landscape from a holiday home in Veneto. From a holiday home in Veneto you can also visit the Garda lake and practice different water sports or you can spend the day at one of the many beaches located at the Adriatic sea en enjoy the warm sun. The adequate climate of this region makes it possible to enjoy a winter vacation as well as a beach vacation, something for everyone. Do you prefer a cultural vacation or a nature vacation; this is also possible from a holiday home in Veneto. Take A Break Holidays takeabreakholidays. Venice Bed and Breakfast Accommodation. San Francisco De Asis, Urb Marina, San Fulgencio, 03177, Alicante, Spain.